However, 1951 was not the best of years for the NBA, or basketball in general. There were many scandals in which college players were caught point-shaving which had an extremely negative effect on the entirety of the game of basketball. Haskell Cohen and Walter Brown, even in the midst of the overwhelming controversy at the time, decided that the game must still be played. Yet the Commissioner, Maurice Podoloff, wanted the game to be called off just days before the game would be played, saying that it would be “a flop” and that “the league would look bad”. The men did not back down, insisting the show goes on. 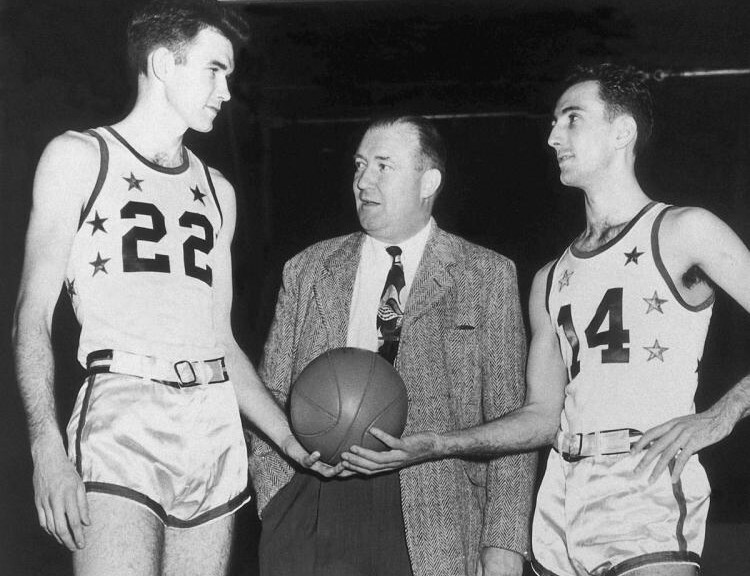 The first ever All-Star Game was on March 2nd, 1951 and was held at The Boston Garden in Boston Ma., with an outstanding turn out, having 10,094 fans show up to watch the stars of the NBA compete against each other. Like today, the teams competing were the best players from the East Division, and the best players from the West Division, with both sides playing against each other. The East easily defeated the West, with a final score of 111-94. The MVP was the Celtics’ very own Ed Macauley, racking in a game-high 20 points, while also holding Minneapolis Lakers star to just 4 field goals. The tradition of the NBA All-Star Game still carries on to this day, happening annually during the middle of the NBA season. Previous PostBirthday of Donald J. Trump?Next PostArmenian Genocide?